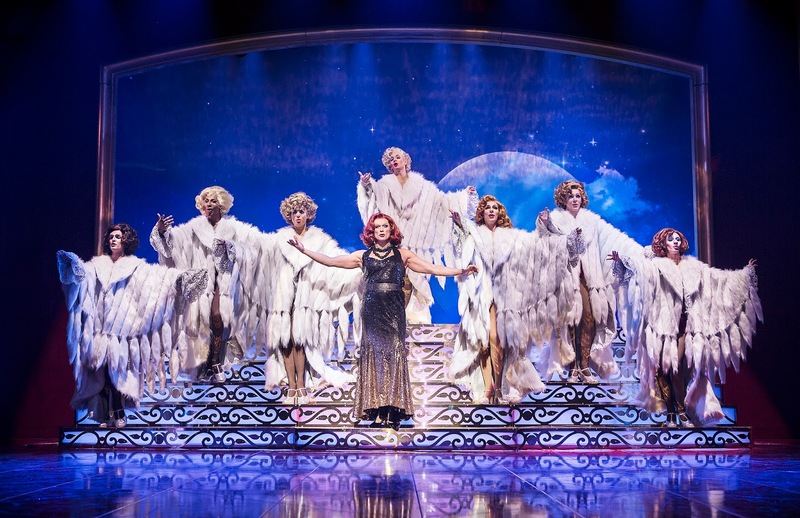 La Cage Aux Folles is recognised as one of the world's finest modern musicals of our time, celebrating the greatness of the human spirit with a brilliant combination of love, laughter, sparkle and even a happy ending that will seem like it's come straight from the fairy-tale storybook. Written by the playwright Jean Poiret, it centres upon the story of Georges who makes a living running a Saint-Tropez drag nightclub. His partner in crime, full time cross-dresser Albin is the start of the La Cage Aux Folles cabaret and a force to be reckoned with. Georges straight son from a previous relationship turns up with a bombshell, he is planning to marry a young women. Unfortunately for Georges and Albin, their son is to be married into a family that do not take well to homosexuality. It wont' be long until the appending chaos comes around. It's plot is easy to follow, quite simplistic in it's format but very powerful in it's themes. This new UK touring production, produced by Bill Kenwright brings with it the punch, sparkle and importance of embracing everything that's you in all it's glory. Having only little knowledge of the musical I wasn't too sure on what to expect, little did I know I'd come out with a huge smile on my face and wanting to sing many of the musical soundtrack out of the doors. You couldn't keep your eyes off the array of costumes that La Cage Aux Folles had to offer, Costume Designer Gary McCann brought enough of the sequins and feathers needed to bring the many characters to life. The La Cage dancers were absolutely flawless in executing the flare and sass needed to portray their individual characters in the cabaret, I admired their ability to dance confidently in heels without stumbling! The star of the show was no doubt our Albin, played by Eastender's John Partridge. An individual who boosts a CV full of amazing theatre and screen experience manages to bring to life Albin's character with as much fun, sass and above everything passion that you could possibly ask for. It was admirable to watch Partridge as he took us through the storyline, and taking down the house in his rendition of I Am What I Am. The role clearly took a real place in his career for him and I found his reaction to the Birmingham audience a reflection of that passion in portraying Albin. I would watch it all over again to just hear him sing I Am What I Am all over again. There was also an outstanding performance from Samson Ajewole as the black maid/butler with as much camp and glamour than his employer. He had a really great presence on the stage and really grabbed the audience's attention in his entertainment. 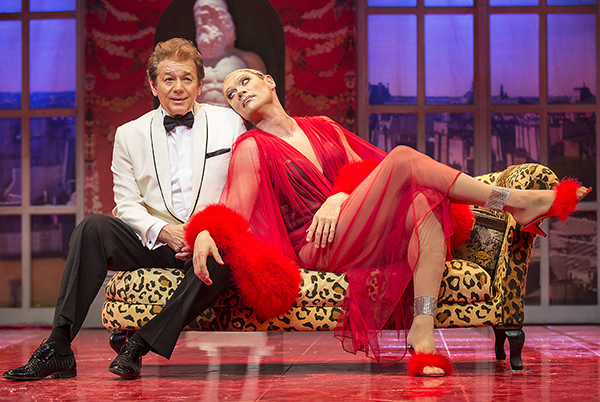 I would urge you all to take a visit to see La Cage Aux Folles, it's really well worth a visit! John Partridge is a great actor isn't he? Sounds like a great show Em!